NEW YORK, NY / ACCESSWIRE / December 6, 2018 / Instagram is the social app of the moment and the digital influencers are the ones that can convey tastes and purchases. 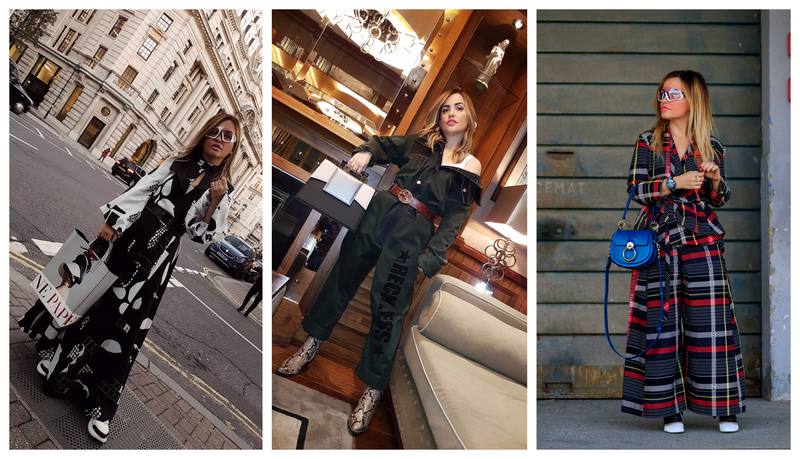 American influencers are one step ahead, English think outside the box, the French are the iconic effortlessly chic but are the Italian ones that create one-of-a-kind and outstanding looks. That’s why we like the Italian influencer Carolina Ogliaro, who is renowned internationally for her unique ability to match statement accessories with uber-cool and unconventional shapes never forgetting her femininity. Style advisor for a lot of girls but not only. Through her Instagram account (@carolinaogliaro) she posts her outfits, recommends places and hotel, suggests artists, helps to increase awareness on animals rights and spread her love for the niche fragrances sector. Carolina Ogliaro attends each season the fashion weeks and she virtually takes her followers in the backstage of a show, in the front row and the at the most exclusive parties and presentations. Deeply focused on new upcoming designers, some of her favorite big brands are Off-White, Henrik Vibskov, JW Anderson, Marni, Margiela, and Balenciaga. As an opinion leader in the fragrances niche, she has often named as beloved labels like Byredo, Liquides Imaginaires, Penhaligon’s, L’Artisan Parfumeur and Agonist. She has recently launched the tiara trend, used as daily headwear, wearing an eye-catching handmade by Sara Tiara. In the future, some capsule collections and the idea of creating a concept store of new designers.